When it comes to CDs, the entire industry is hurting, not only the major labels. Indie labels, who've always had a real struggle even in the best of times, find it more and more difficult to keep the doors open these days as not only sales decrease but margins as well. Indies still rely principally on CD sales for the bulk of their income, but thanks to the music retail sector drying up, there are fewer and fewer stores to sell their product. Now those last existing stores have become increasingly reluctant to accept indie product, some even requiring a 5,000 unit guarantee, a level that's unreachable for just about any indie record. In better times this amount wasn't a problem for a hot act, but given the fact that a major label number #1 record might only sell 50k in a given week, this figure is tougher to hit all the time. There's as much music consumed as ever but the margins are now so razor thin that few labels are able to exist. There used to be a few buck margin in a CD, but with an iTunes download leaving only 65 cents which still has to be split with the artist and writer, the business model has been turned on its head. 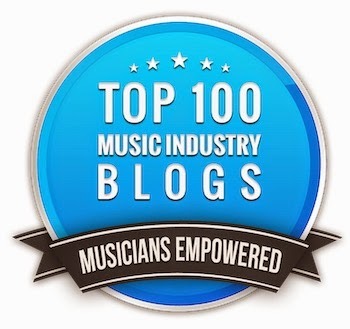 Record labels large or small cannot exist with the music industry as it is today. Look for something new to come along soon to take the labels place, or the labels to completely change their business model. There's no other way to survive. The darlings of this year's South by Southwest conference, the Decemberists, recently released their 5th album "The Hazards of Love." This is nothing earth-shaking by itself except for the fact that it landed at #14 on the album charts and was not even released on a CD! Yes, it's true. In what looks like an acceleration of the death of the CD, the band didn't even consider it worthwhile to release it on the king of music delivery formats for the last 25 years, yet did release it as a vinyl record. 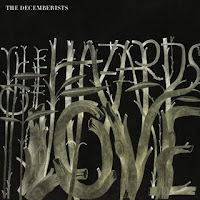 In it's first week of release, The Hazards of Love sold 18,000 digital downloads and 1000 units of vinyl. This ties in with the research I've been doing for a book that I'm writing called "Music 3.0: A Survival Guide To Making Music In The Internet Age." Just about every industry expert that I've interviewed has predicted that the CD is going away as a release format on a retail level, mostly because it looks like retail music stores will die. Most experts also predict that CDs will still be pressed as souvenirs that the artist will sell at gigs, so that's how the CD should be treated. It's too early to say that the Decemberist's release is the beginning of the end of the CD. After all, their number of digital downloads for this release aren't that large so far. But it's a trend worth watching since it appears that day might come soon. Or will it? The thing that everyone hates about concert ticketing these days is the ever elevating prices that gouge music fans everywhere. On the other hand, if these fans are still willing to pay the price, it's hard to complain about the hole in their wallets. One proposal to stabilize prices a bit is to create a demand-based, variable priced ticketing market similar to airline pricing systems. On premium shows, the cheap seats (similar to the coach seats on a plane) get more expensive, and the best house seats (equivalent to business and first class) go to the highest bidders. The prices also increase ahead of the start time as supplies shrink. As you get closer to departure, the price is going to be a lot higher than if you bought a ticket a couple of weeks ago. While I doubt this scheme will ever be adopted, something has to be done about the current pricing policies. We've all been burned too many times. Of course, Ticketmaster could probably eliminate the secondary market entirely by taking hint from No Doubt, Trent Reznor and Bruce Springsteen. No Doubt wrestled control of roughly 10 percent of tickets on its current North American tour and implemented its own sales terms. Reznor and Springsteen's plan includes direct sales to their Tour Club members, and prints buyer names directly on the tickets to prevent subsequent resale. Ticket prices are just like Wall Street in that greed abounds. Ticketmaster, the promoters, agents and now even the act are all responsible for wanting more and more. Just like Wall Street, they're going to find that there's a limit to greed before it backfires on you. There's a lot of discussion these days about the "economies of free," which is basically the theory that if you give something away for free then it will incentivize the receiver of the free product to come back and purchase something else. The economies of free is a central premise in the new music business economy (especially for a young artist), but Wired Magazine's Chris Anderson takes the theory yet another step with the following video description of "The 4 Kinds Of Free." Accenture, a management consulting firm, recently conducted a survey among 3,000 consumers across the United States to create its annual report on consumer electronics products and services usage. The survey's results offer a host of surprising discoveries. Baby boomers (defined in Accenture's survey as those 45 years old or older) are embracing popular consumer technology applications nearly 20 times faster than younger generations. Who'd a thunk it? Compared to a year ago, Gen Y (consumers between the ages of 18 and 24) are decelerating their use of consumer electronics and related services (social networking, blogging, listening to podcasts, watching and posting video on the Internet). Perhaps their fingers are getting tired from all that texting? The "connected home" isn't happening. Survey respondents picked game consoles, television and portable music players as three consumer electronics products whose ability to connect to the Internet either directly or through a home network is "unimportant" to them. They're probably right about the "connected home", but I'm not so sure about the television. Let's see what the survey says next year. 91 percent of survey respondents said they spend "zero hours per week" in a virtual world such as "Second Life." That means that the 9% that do play spend all their waking hours there. The survey showed a 67 percent increase among baby boomers reading blogs or listening to podcasts. In contrast, Gen Y's usage of such applications was flat, declining by less than one percentage point. Today, 45 percent of Gen Y are engaged in reading blogs or listening to podcasts, while 26 percent of baby boomers have begun to do so. Still have a way to go to catch up with those "Y'ers." Similarly, baby boomers connected on social networking sites jumped by 59 percent. Meanwhile, the usage and activities among Gen Y on social networking sites have also plateaued, showing only a two percent increase. After all those divorces, boomers must be dating again. Gen Y consumers watching and posting videos on the Internet declined by 2 percent over the last 12 months, while similar use among baby boomers increased by 35 percent. How long can you watch crappy videos before you get a life? Wait - how long can you make crappy videos before you get a life? I think what this survey shows is, despite what we've been told, every generation has adopted all the latest technologies. Some get there later, but they get there eventually. New iTunes Tiers on April 7? It looks like the new iTunes variable pricing plan will finally hit the streets on April 7th. If you've not heard, instead of every song in the iTunes catalog available for a flat 99 cents, a 3 tier variable pricing structure will be introduced - 69 cents for catalog, 99 cents for recent releases, and $1.29 for current hits. The $1.29 tier will have higher bandwidth and no DRM. iTunes has over 10 million songs now available at 99 cents. According to the NPD Group, the average spend per consumer is $41 a year. In this economic climate, raising the price on anything seems like market suicide, but the labels have fought for this for a long time. I guess we'll know on April 8th just how smart of a decision it really is. 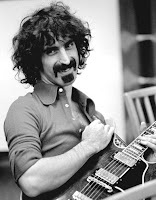 After my post regarding Frank Zappa last Friday, I've had a lot of requests to post another story. Here it is. Sometime during the 80's when the AES (Audio Engineering Society) conference was still being held at the Waldorf Hotel in New York city, I happened to meet Frank in the one of the hallways between hotel rooms (a lot of the manufacturers showed their gear in hotel rooms rather than in the relatively small banquet hall). He asked me to tag along with him up to the Synclavier room (Frank was a power user) and of course I did. As we were about to enter the hotel room, a teenaged kid comes up to Frank and asks him to come over into the corridor and listen to him play. Frank, being ever so polite as he always was with anyone he did not consider a fool, told him he would be back to listen to him in a few minutes after he finished his business with Synclavier. Of course it was never just a few minutes with Frank, since everyone there (probably about a hundred people) wanted a chance to talk with him. So after about an hour, the kid comes in the room and taps Frank on the shoulder. Frank sees the kid and says, "I promise I'll be out in a few minutes." About 45 more minutes go by and the kid comes back again, taps Frank on the shoulder again, and looks at him with these big doe eyes and says, "Frank, pleeese?" It's hard for anyone to resist a kid pleading like that, so Frank says his goodbyes and heads out into the hallway with the kid, who takes him to a quiet corner near the elevators. The kid had a little battery powered Pignose amp and a Travis Bean guitar (the one with the aluminum neck and long out of business), and begins to play for Frank. To everyone's amazement, he's not playing with a pick or anything like the usual guitar style that millions of players use - he's cradling the guitar so it's perpendicular to his body and tapping on the frets with both hands. The kid is scared though, and pretty much fumbles through the song. Frank senses this, and at the end of the song says, "Hey, that was great! Can you play me something else?" The kids confidence instantly rose through the ceiling and he proceeded to rip off a song with his unique style that bordered on virtuosity. We were all amazed. Frank gave him his card and told him to call him if he ever got to LA (don't know if he ever did). The kids name? Stanley Jordan, who eventually went on to a pretty nice career as a jazz guitarist using his unique style. Frank could be totally brutal with players (or anyone for that matter) with an attitude, and was especially good at cutting them down to size (some good stories there too). But he was also sensitive to players who valued heart above technique and was always open to people showing him what they could do. I'm not sure how much Frank helped Stanley in his career, but at least for one moment on a cold Saturday afternoon in New York, he lifted him towards the sun.